Dreaming of addiction to drugs when you’re not an addict. 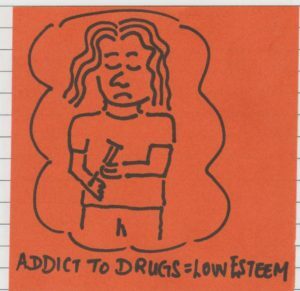 Drug addicts usually have low self esteem. They know they should not be abusing substances but lack the strength to tear themselves away. Drug users have succumbed to stress, pressure, and personal problems like low self-esteem. When you dream of being a drug user, your brain suggests you identify with that image.